The high voltage cable used for X ray machine also has two kinds of low voltage 75KV and high voltage 90KV, which can be used in industry and medical treatment. Medically, the 3m 75kvdc high voltage cable is used for X-ray diagnostic X-ray machine, the 3m 75kvdc high voltage cable is used for X-ray machine high-voltage cable in the low-voltage cable. The 3m 75kvdc high voltage cable can be 125KV X. The length of 3m 75kvdc high voltage cable is 3 meters, but the length used for X-ray machine is not fixed in general. Some customers need longer high-voltage cable because of the conditions for placing X-ray machine, and some customers need shorter high-voltage cable, so the length of 75KV high-voltage cable can be chosen between 2 and 16 meters. Newheek is a professional high-voltage cable manufacturer with more than ten years of production experience. 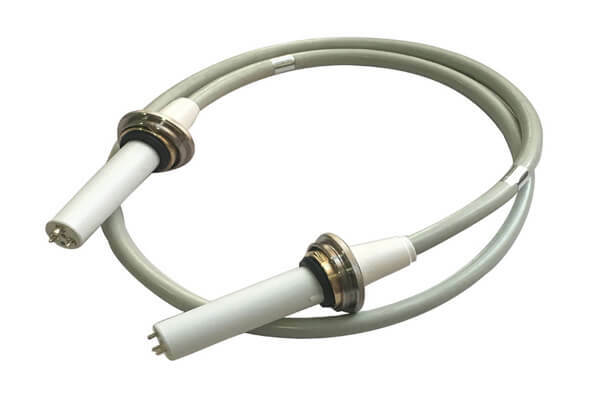 The 3m 75kvdc high voltage cable has two kinds of high voltage connector : elbow and straight head.